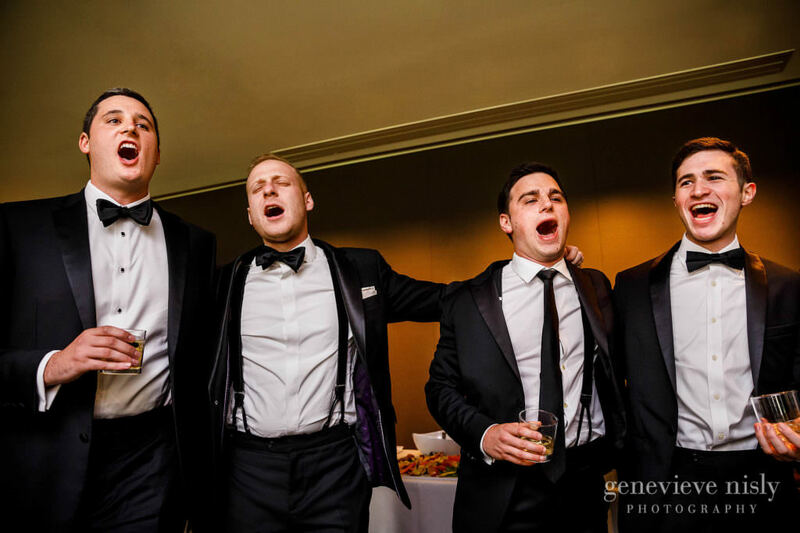 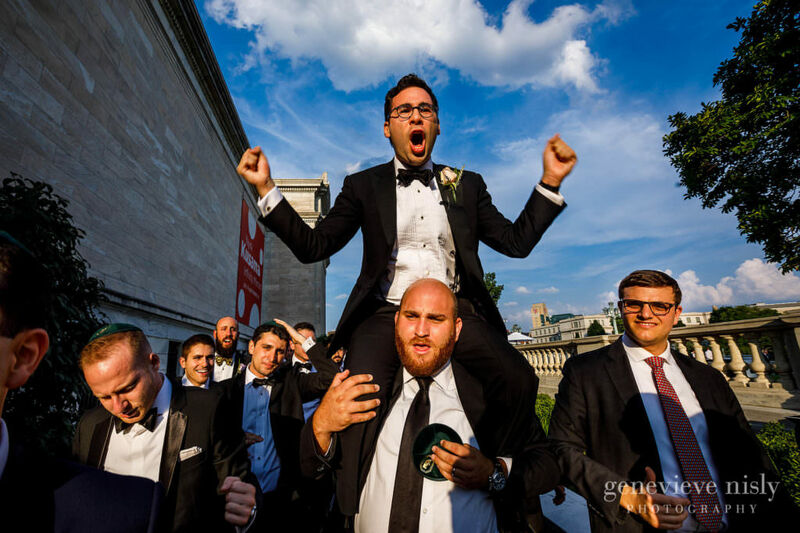 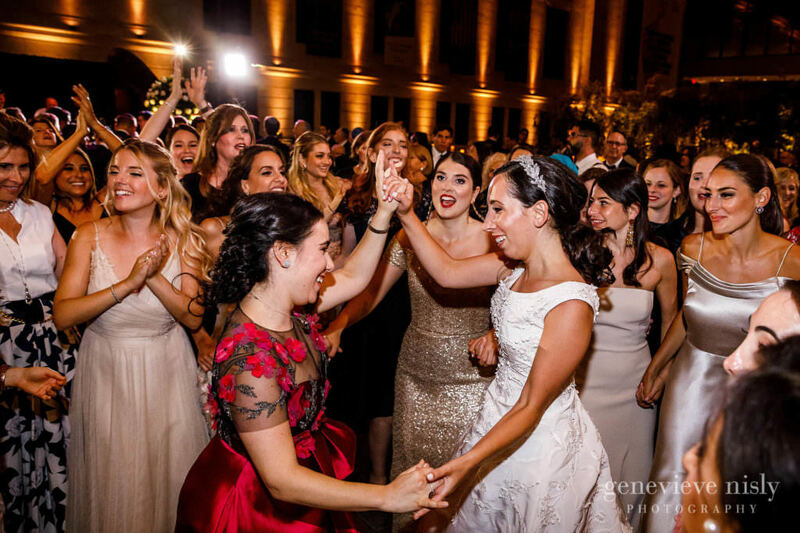 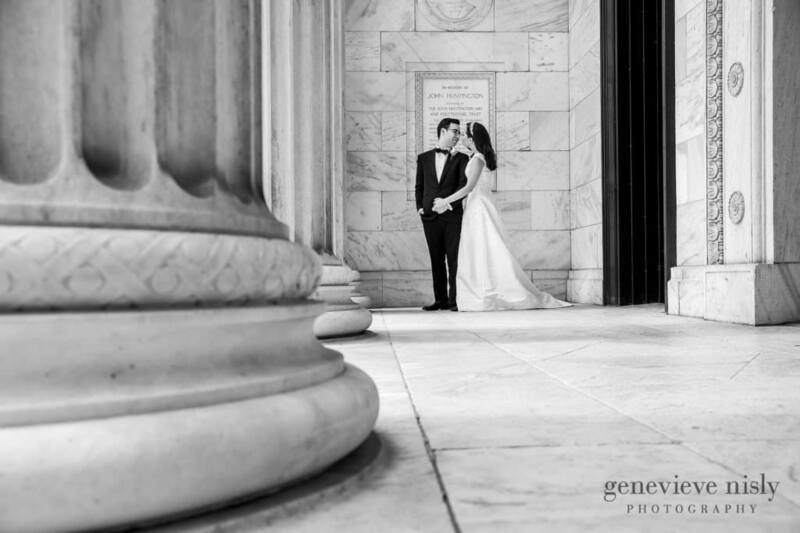 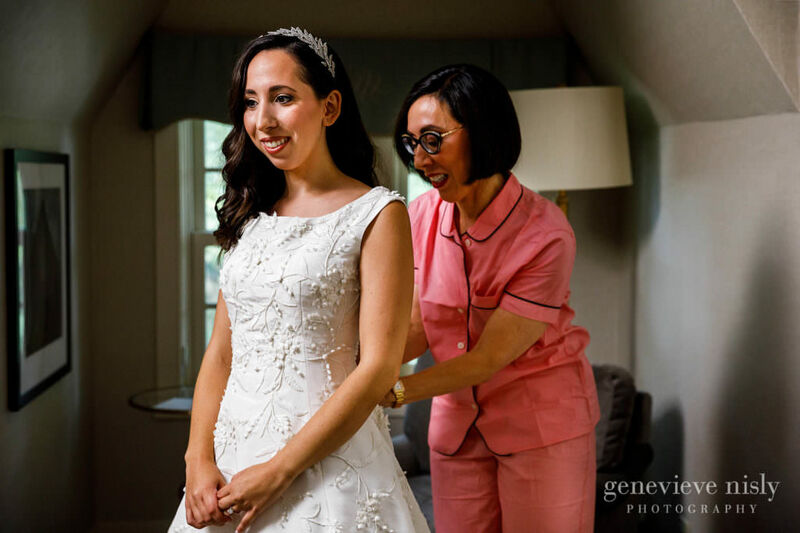 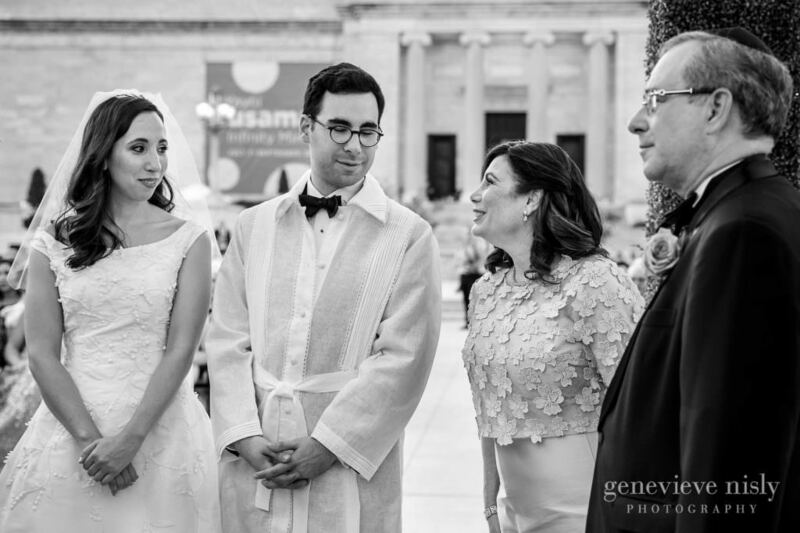 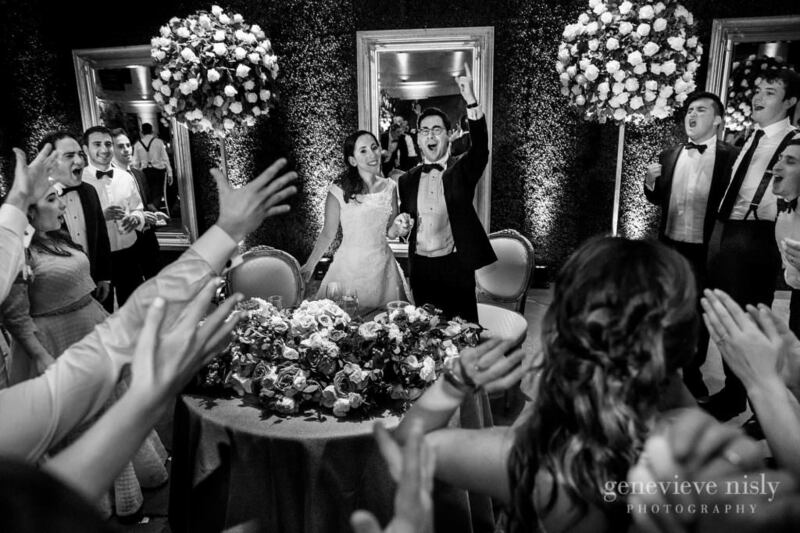 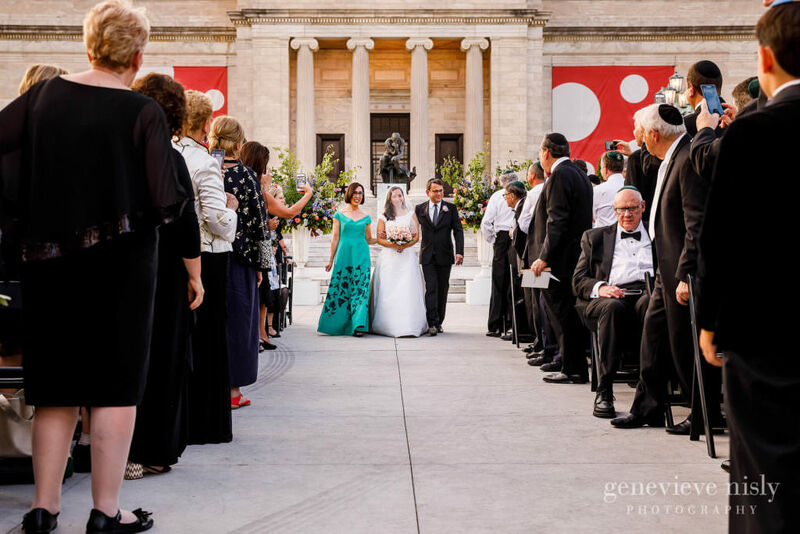 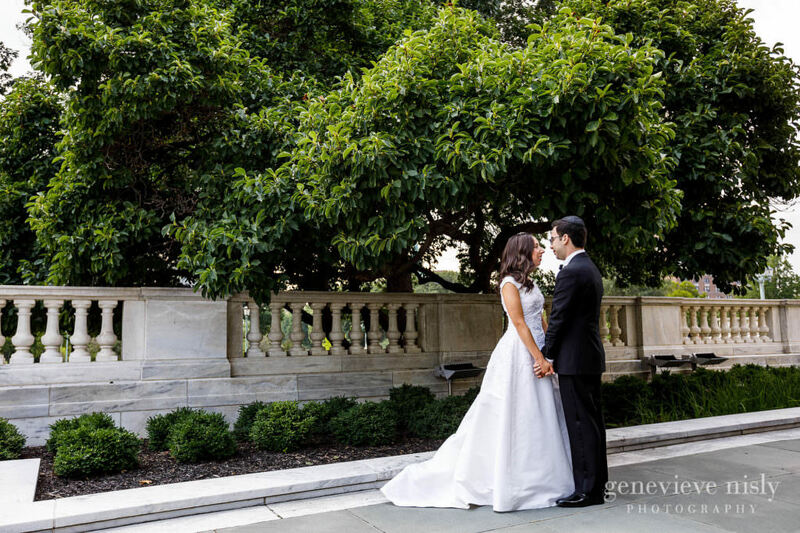 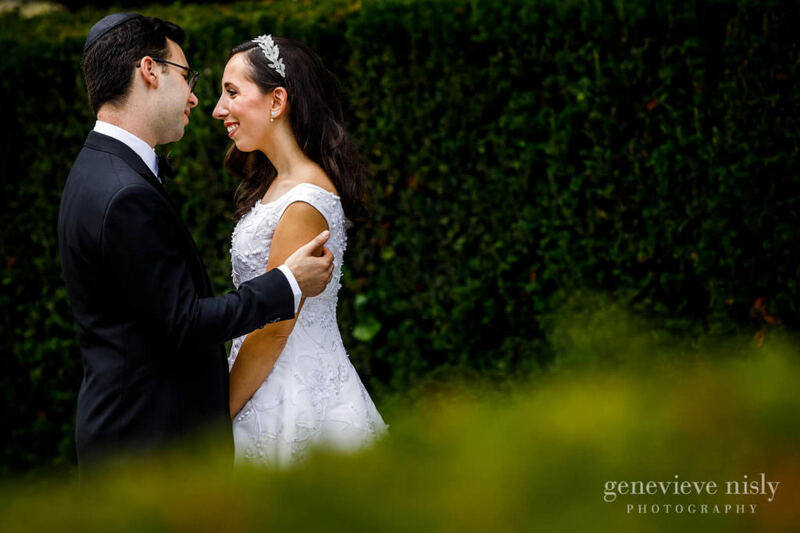 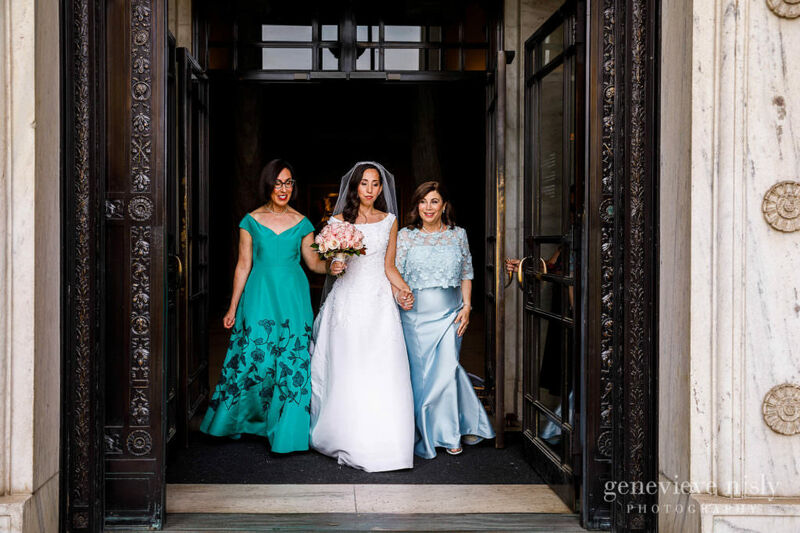 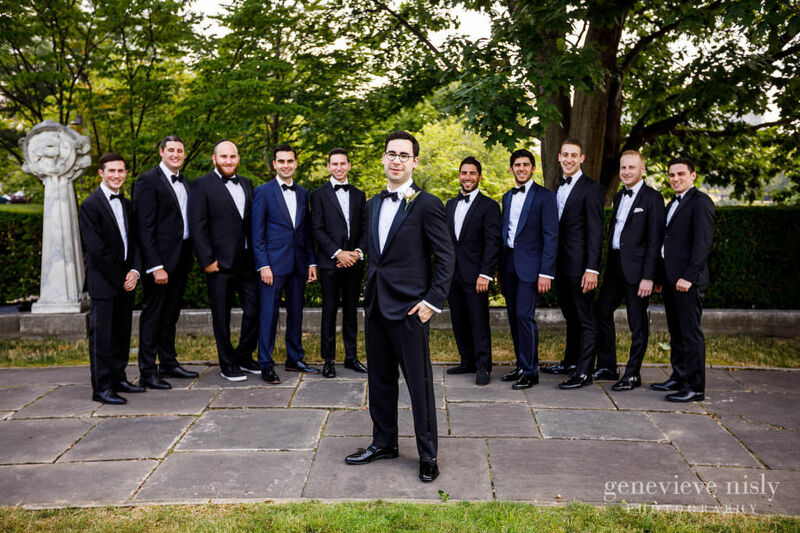 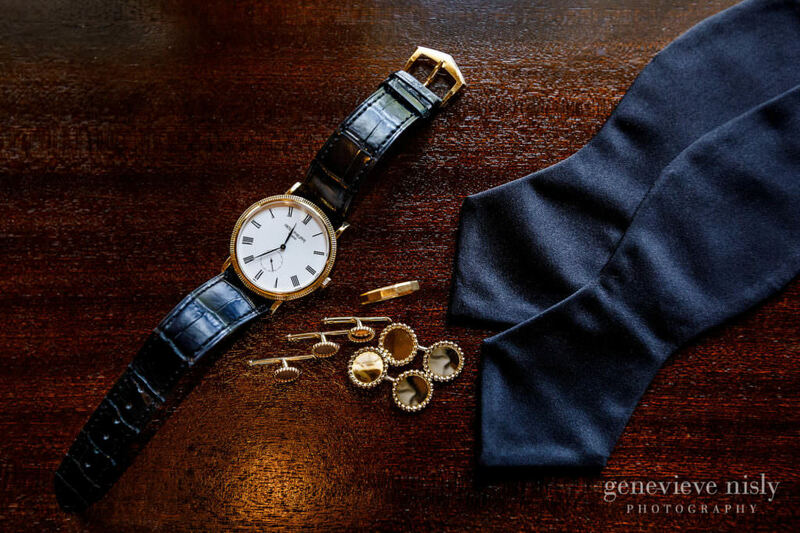 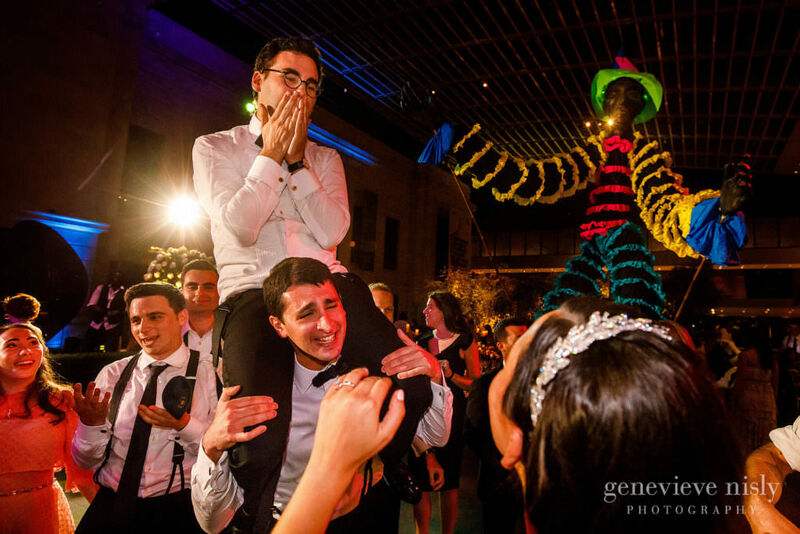 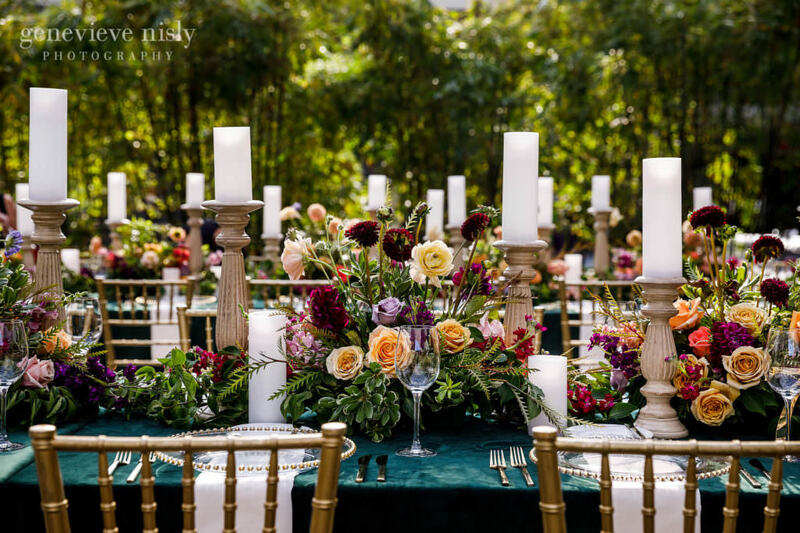 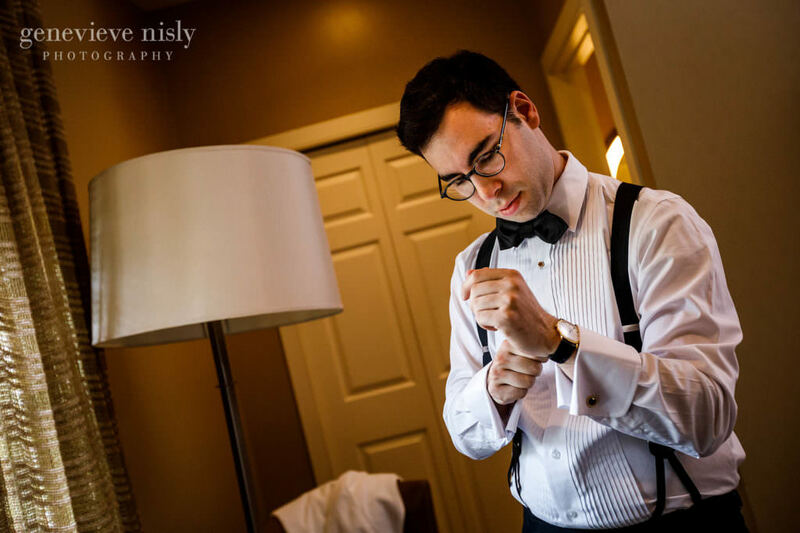 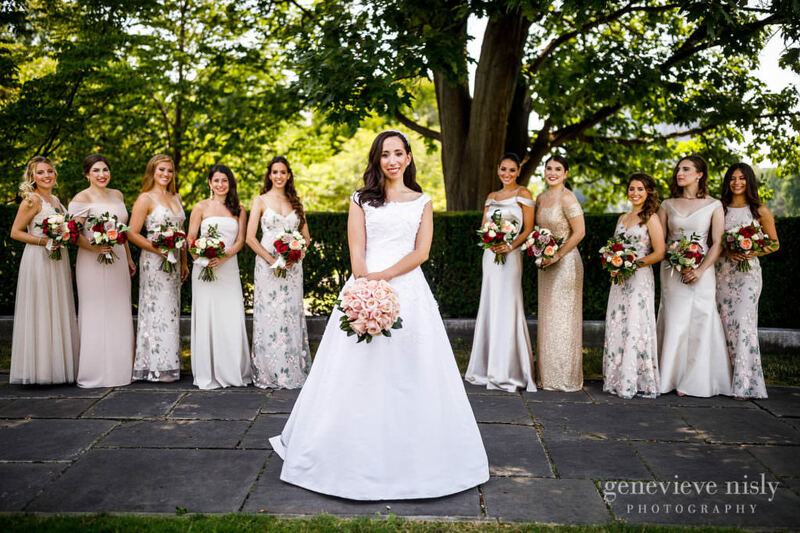 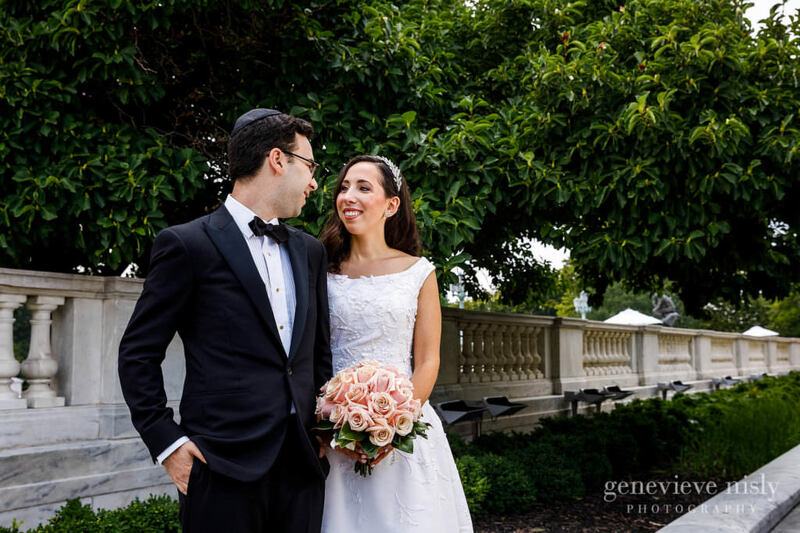 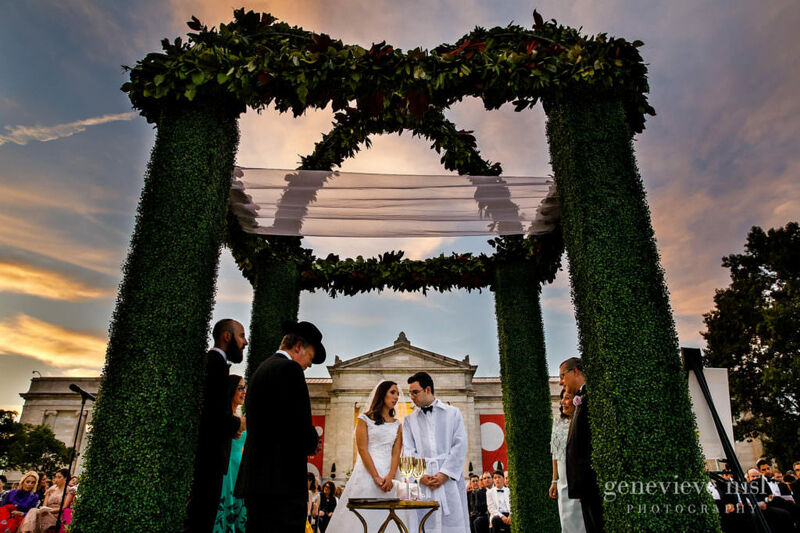 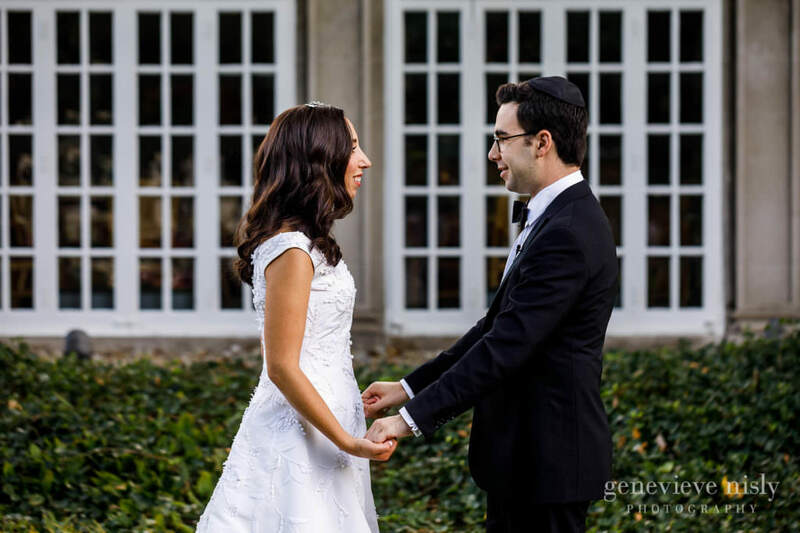 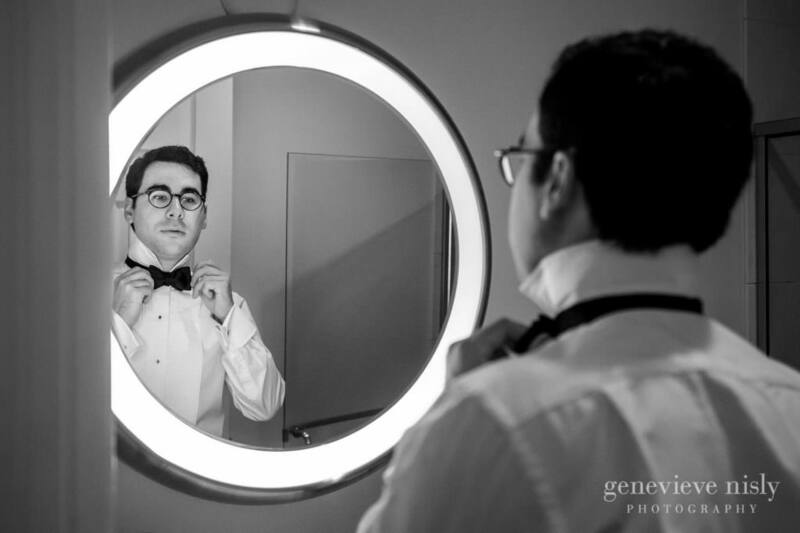 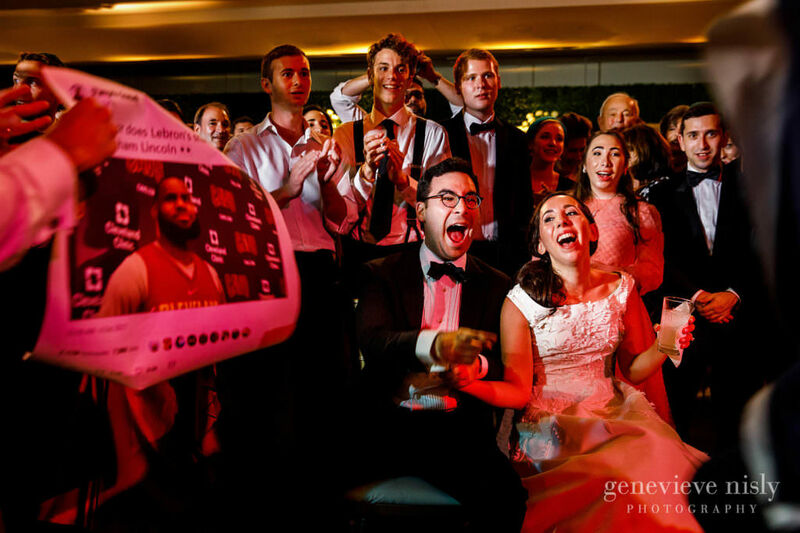 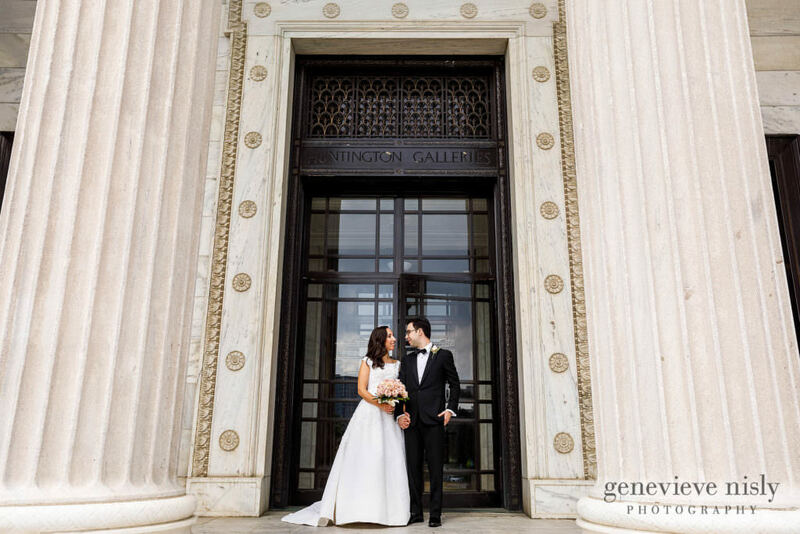 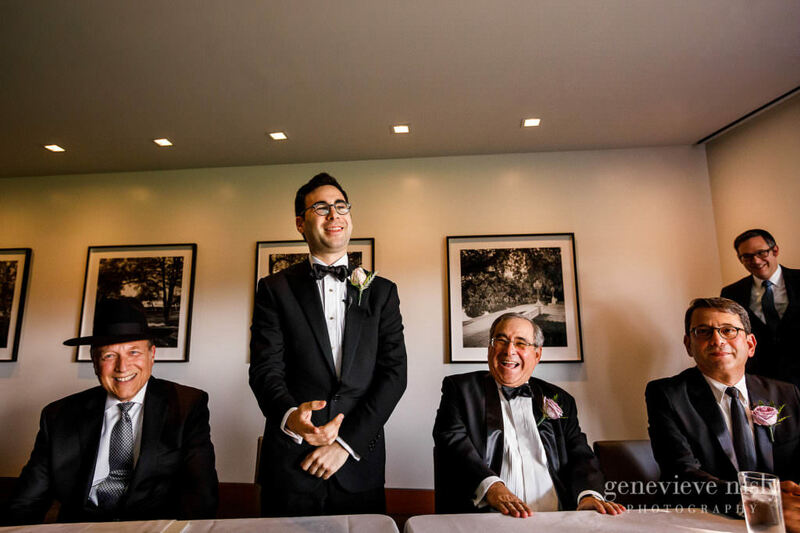 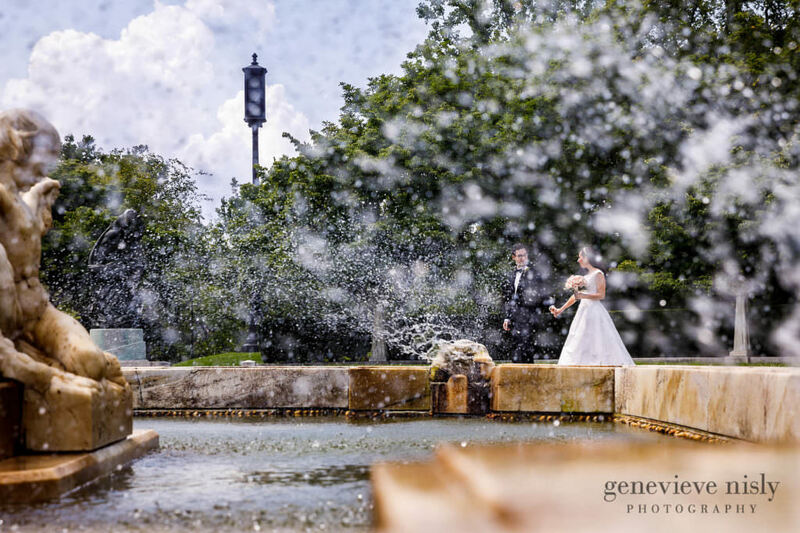 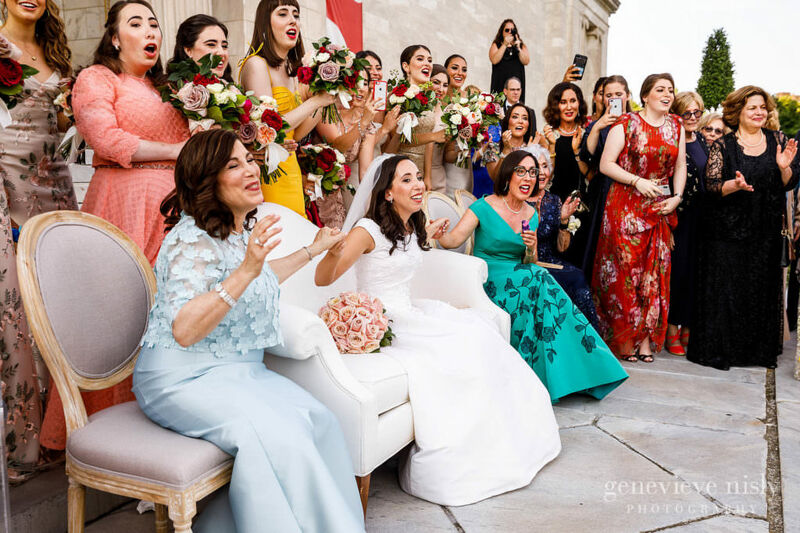 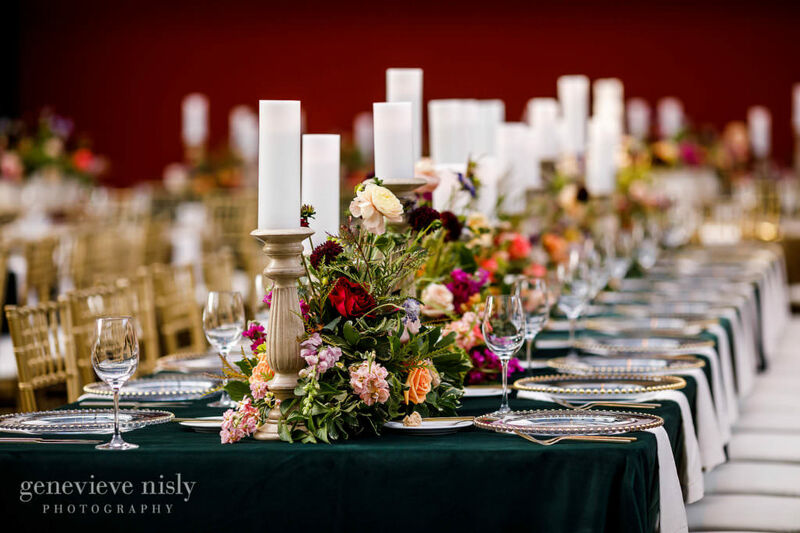 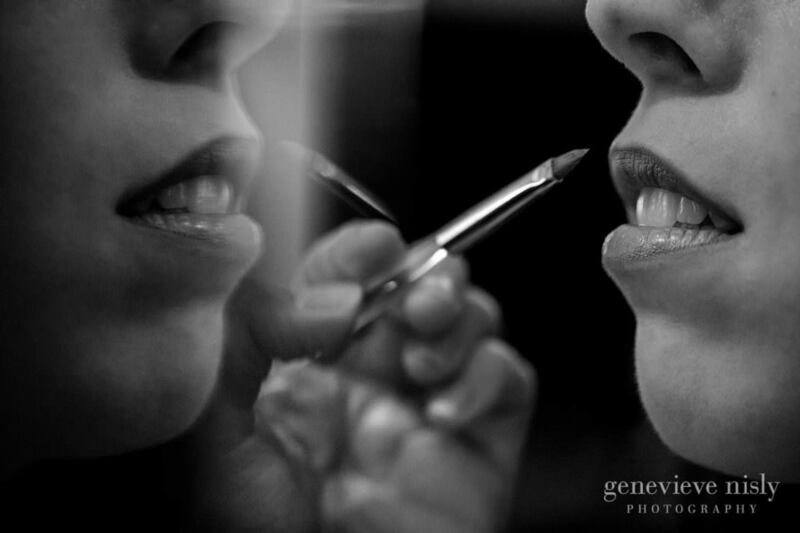 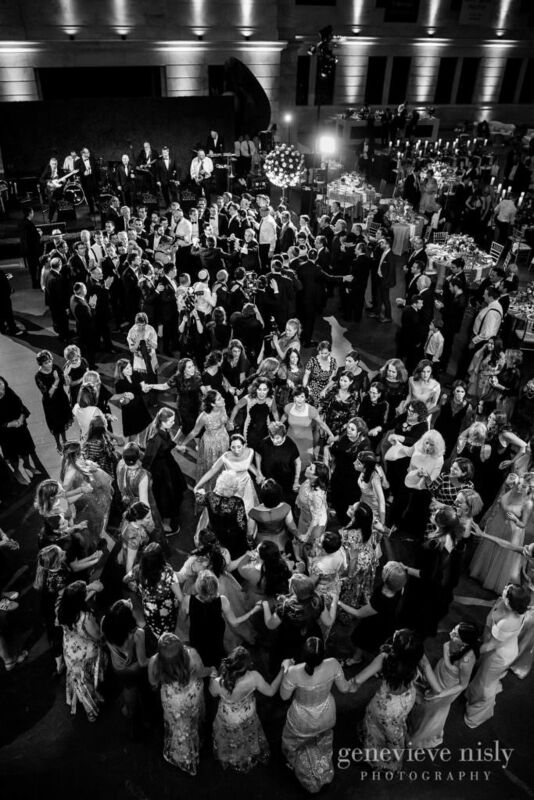 We had been highly anticipating Max and Dara’s wedding at the Cleveland Museum of Art ever since we got the call from Kim at Noteworthy Events when she told us that she was working on an amazing wedding for a very special client. 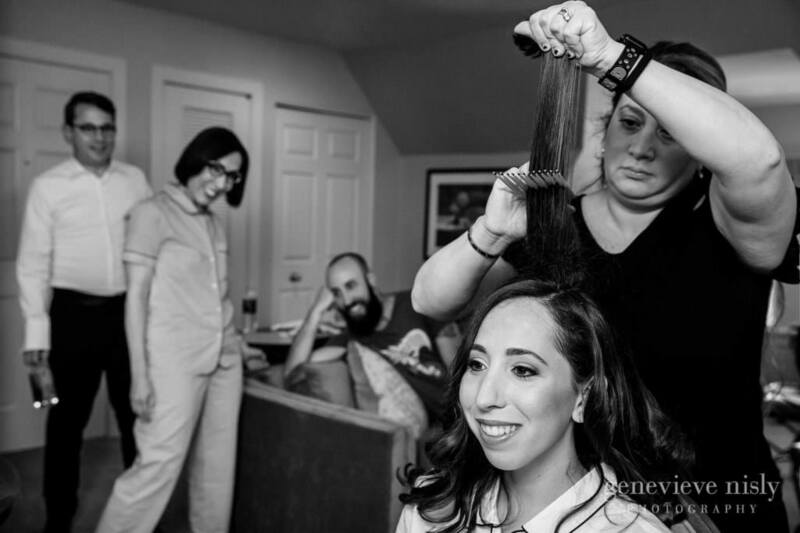 We knew it was going to be a very full, action packed day so it was all hands on deck for us from mid morning until late at night. 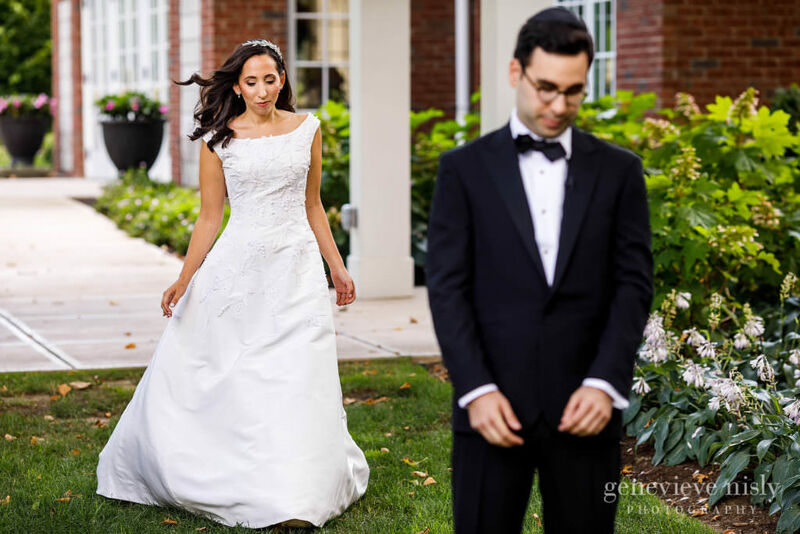 Our good friends and colleagues, Heather and Jarred, came out to shoot with us for a large portion of the day and the results where a record smashing number of images captured, which hopefully translates into a record smashing number of amazing moments recorded for Max and Dara and their families. 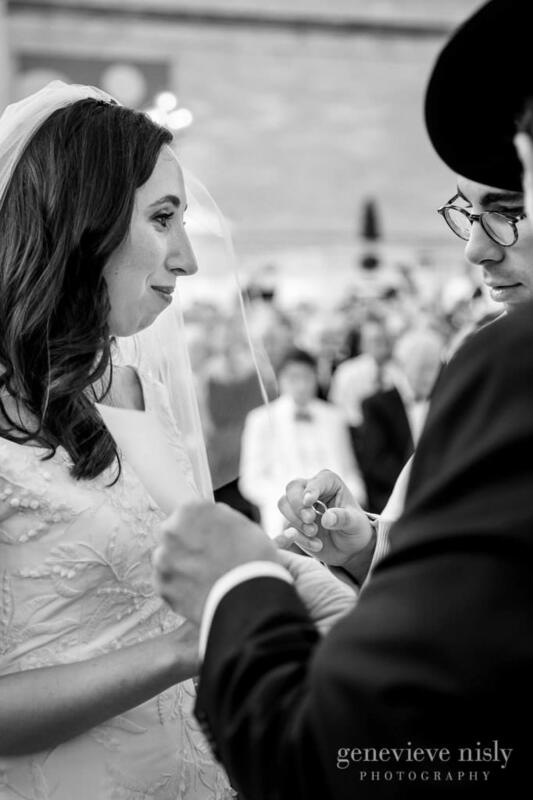 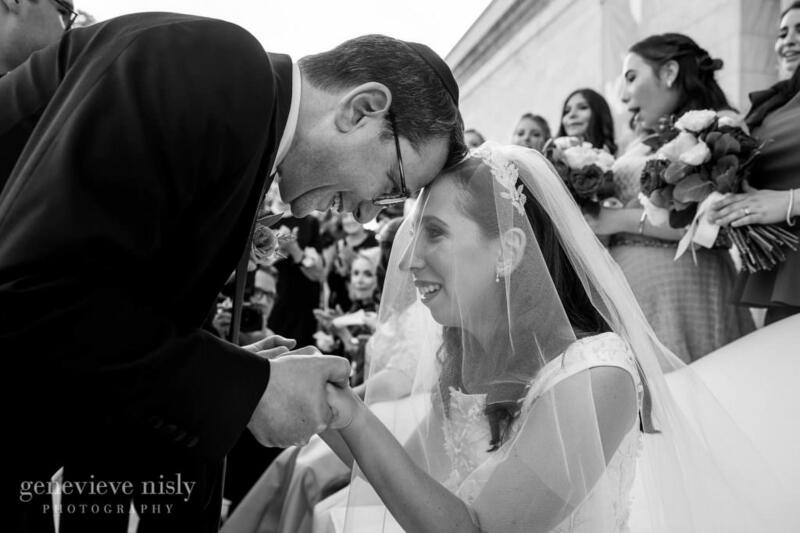 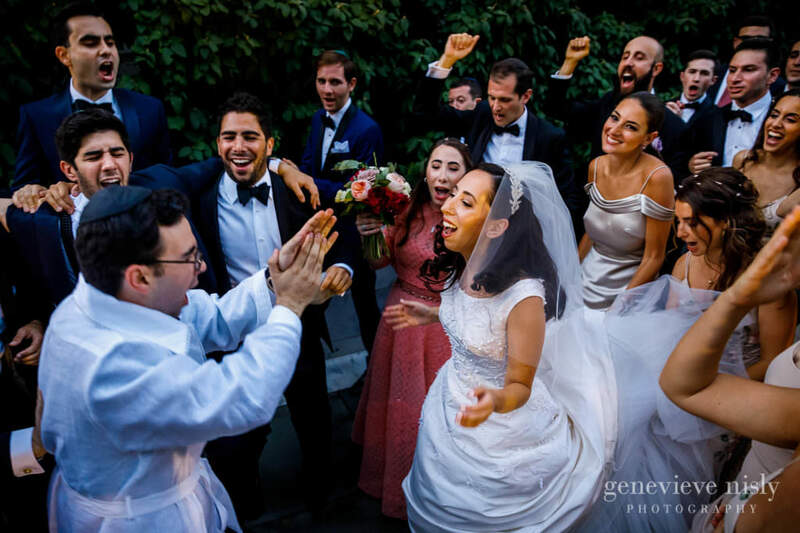 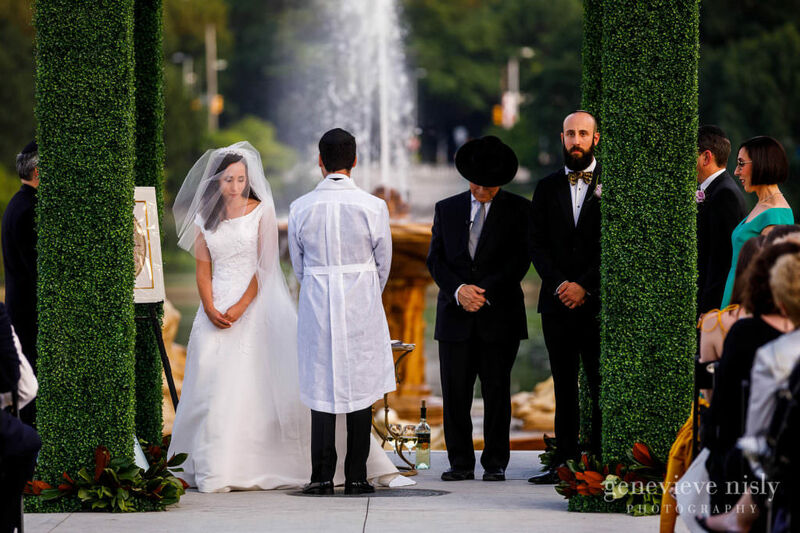 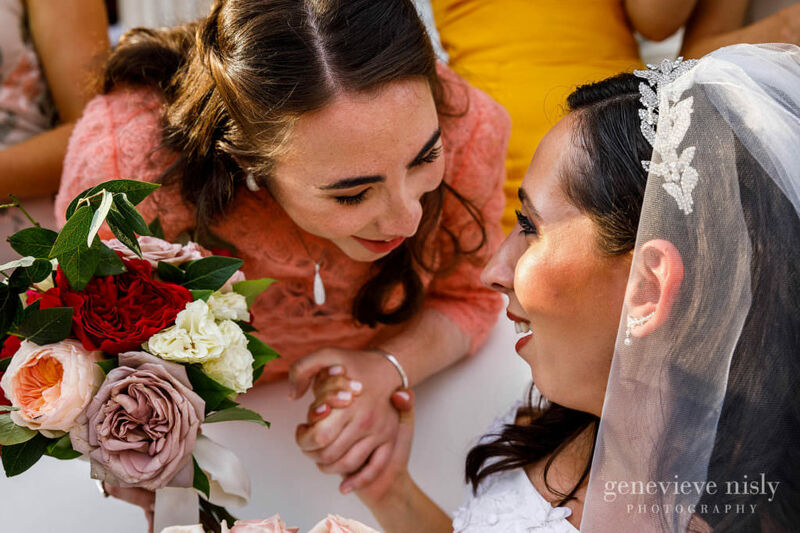 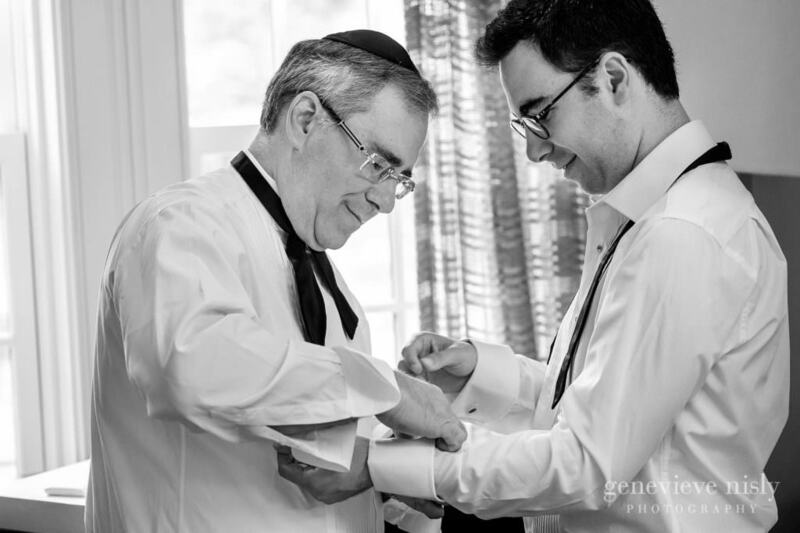 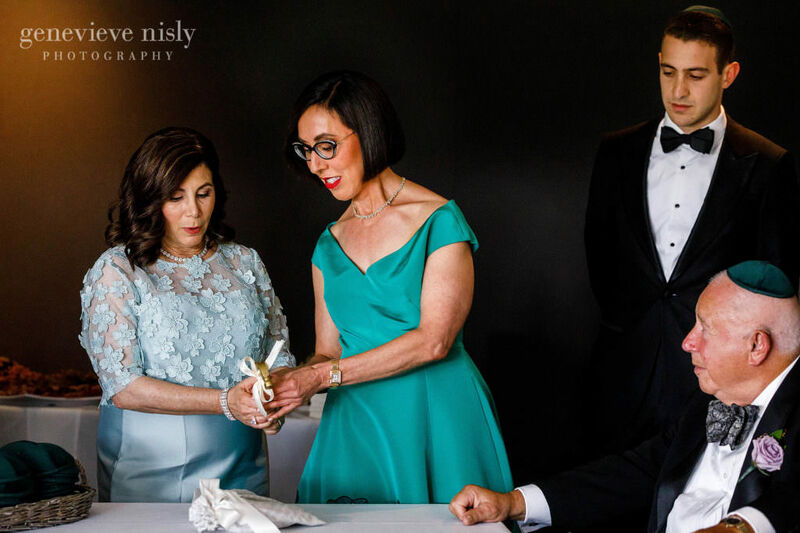 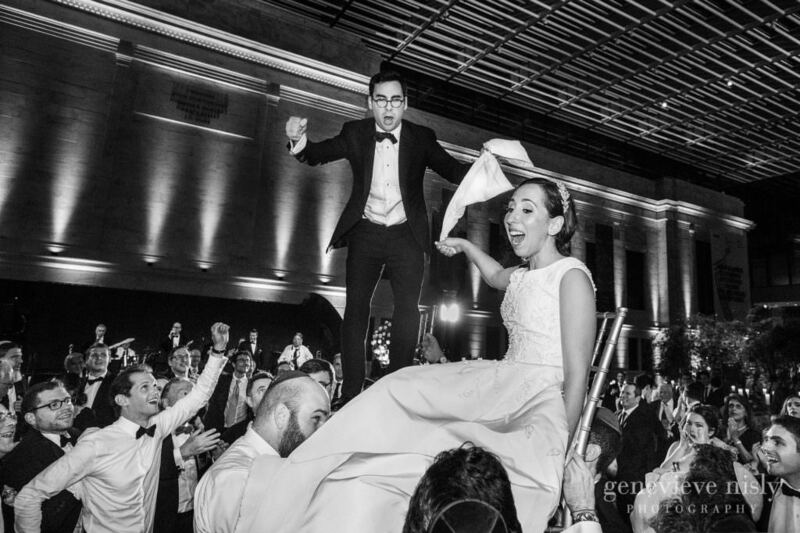 While we have photographed many Jewish weddings over the years, we don’t get to photograph many Orthodox Jewish weddings. 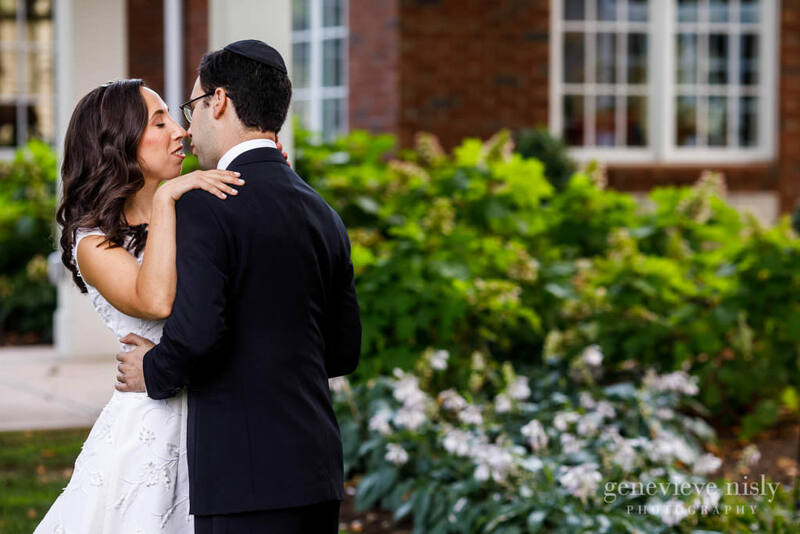 They bring about lots of new and interesting twists and turns for us in addition to the wedding day traditions that we are quite familiar with. 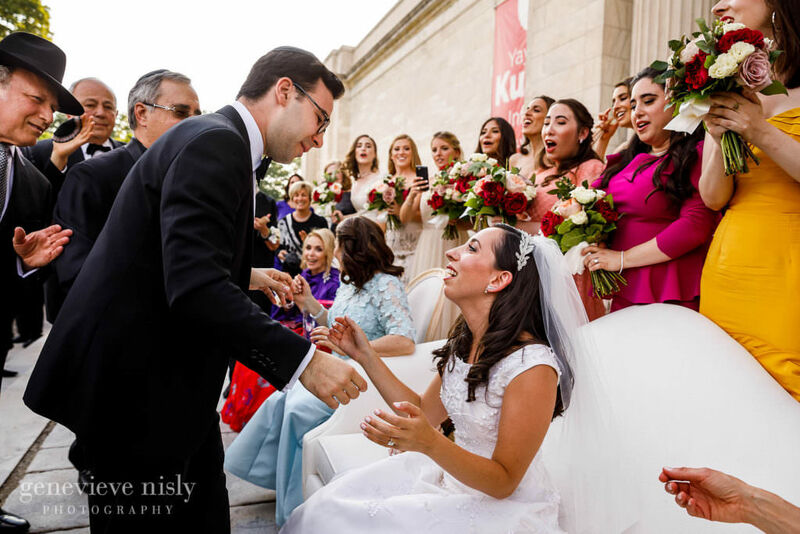 From our perspective, they day was an amazing blend of reverence for their culture, traditions and religion with exuberant celebration, joy, and fun. 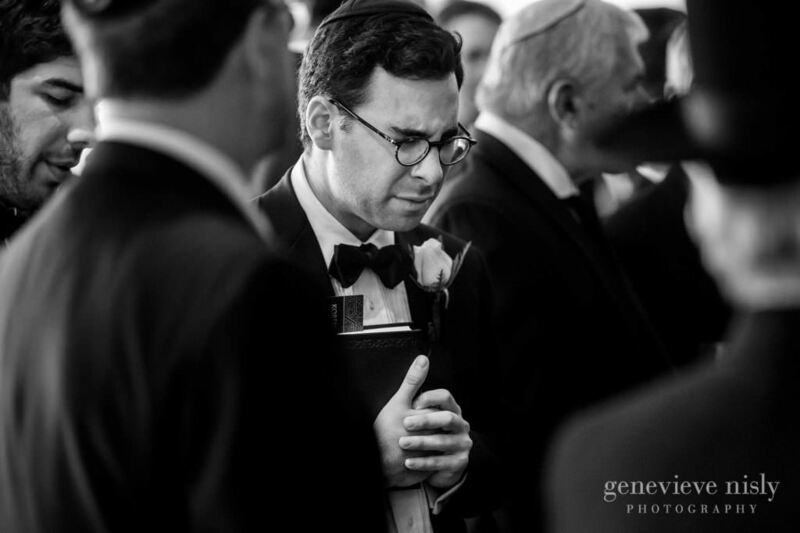 Quiet moments of prayer and reflection where punctuated with singing and dancing as both the men and women each partook in all the pre-ceremony celebrations in their own way. 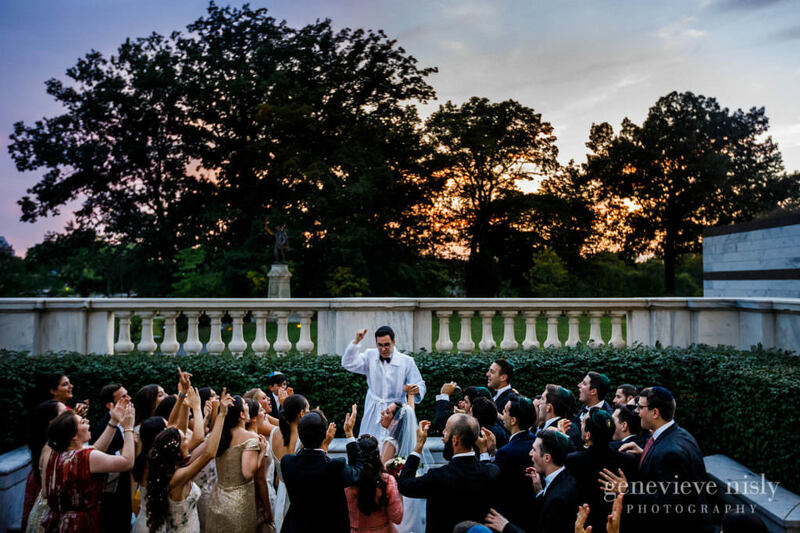 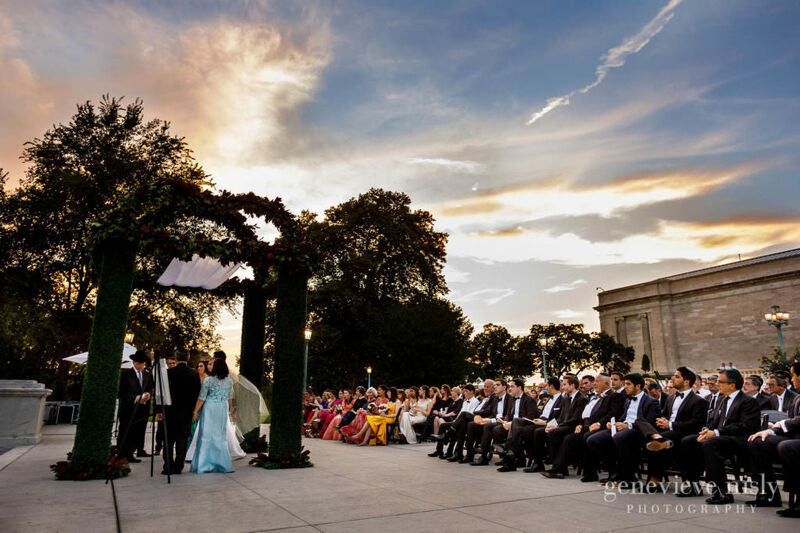 The ceremony took place on the South Terrace overlooking Wade Lagoon just as the sun was setting past the trees. 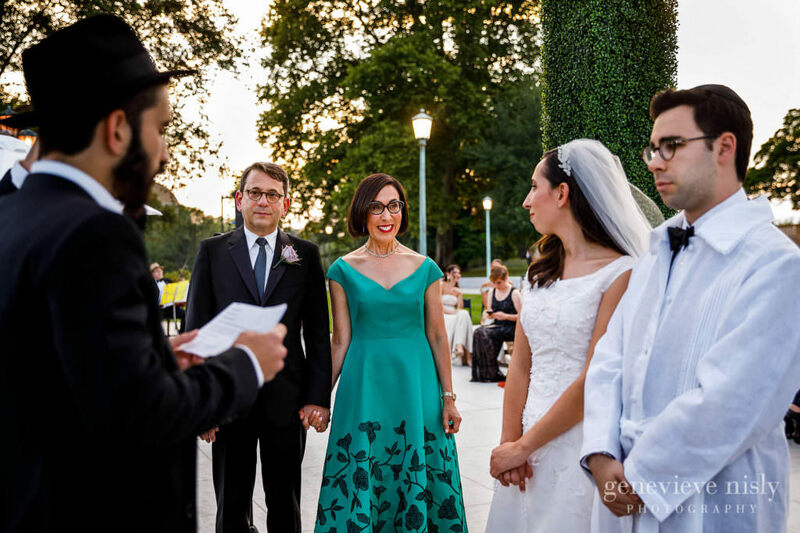 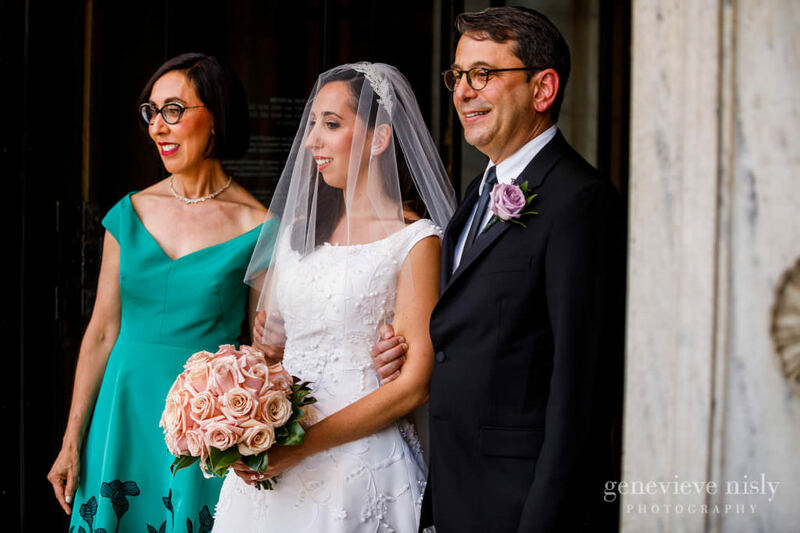 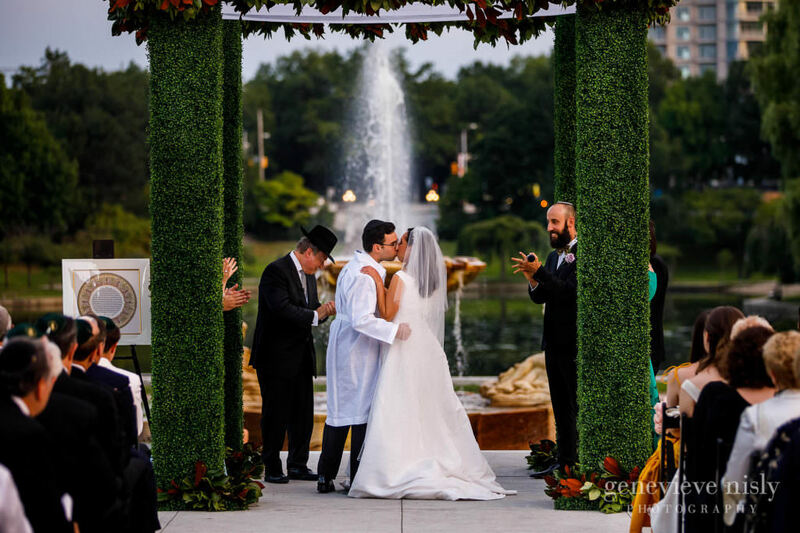 Max and Dara recited their vows under a stunning garden themed Chuppah with their closest family standing right next to them as friends and family watched on. 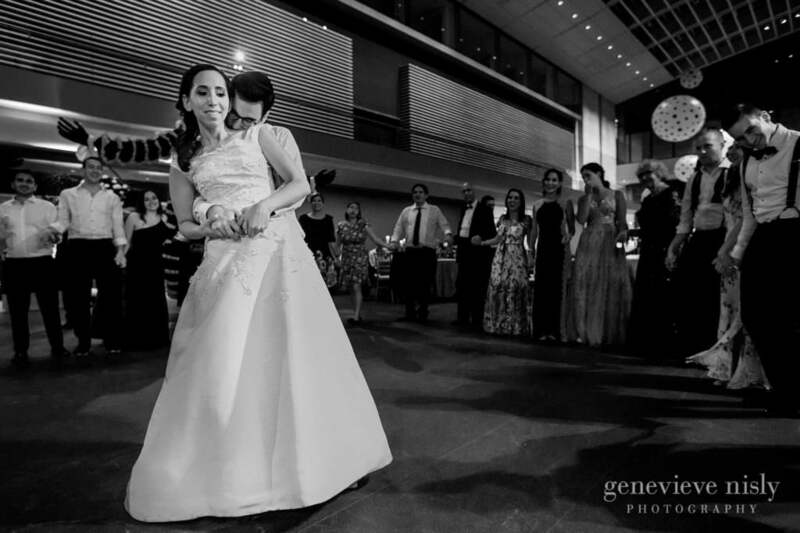 After the ceremony, Max and Dara sang and danced their way back into the museum for the reception. 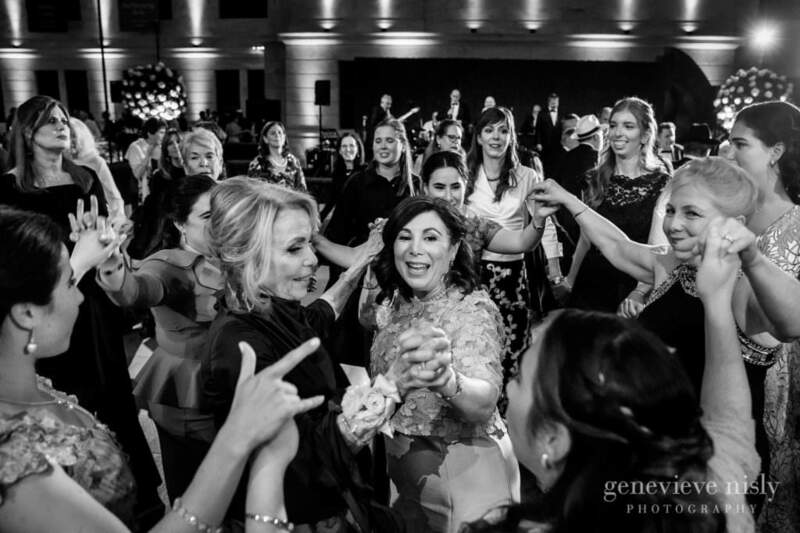 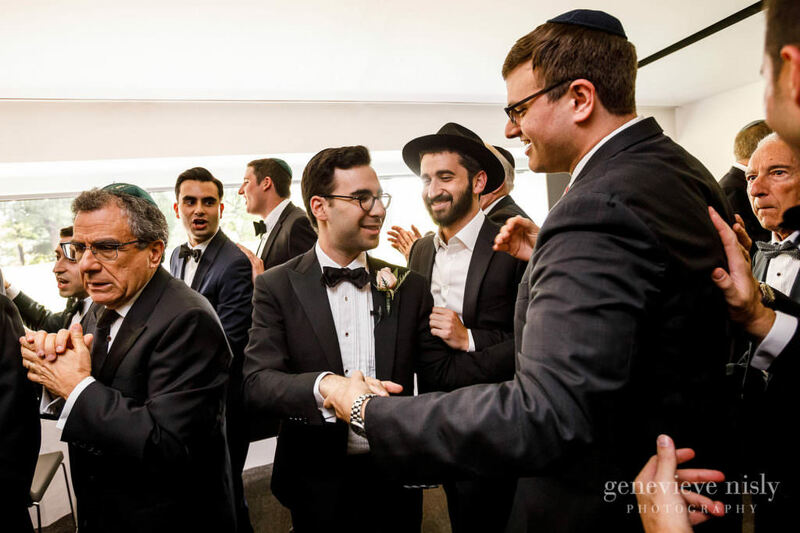 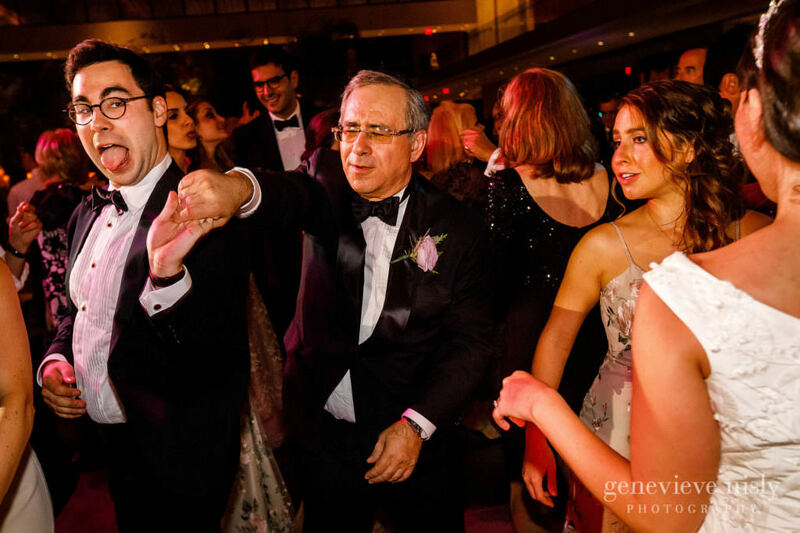 The first half of the reception was an elegant, formal diner with live music and a healthy dose of traditional Jewish music and dancing. 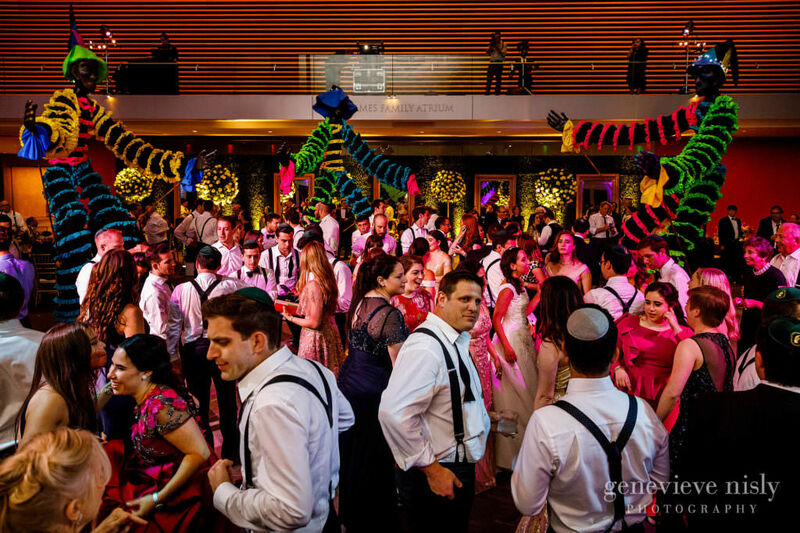 As the evening wore on, the lighting shifted, the video wall lit up, and we were all joined on the dance floor by a trio of two story tall dancing marionettes, turning the space into a dance club of epic proportions. 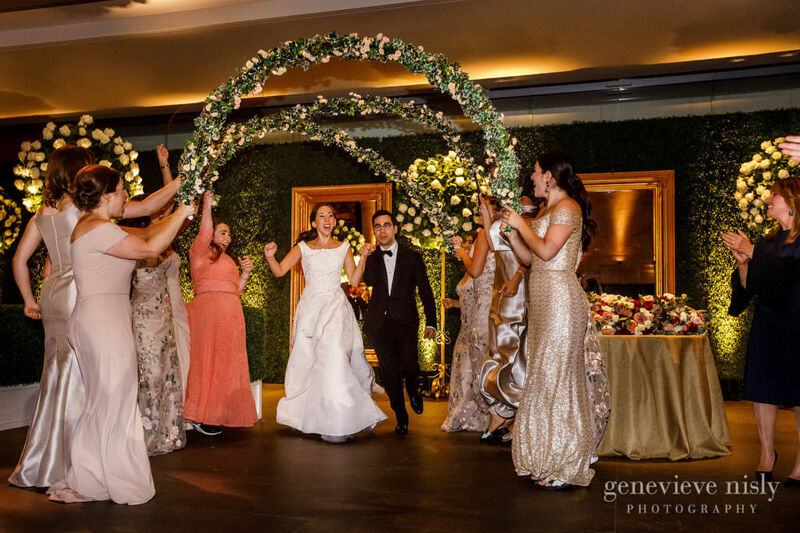 We are so proud that we got to be a part of the amazing team that helped make this wedding day vision a reality. 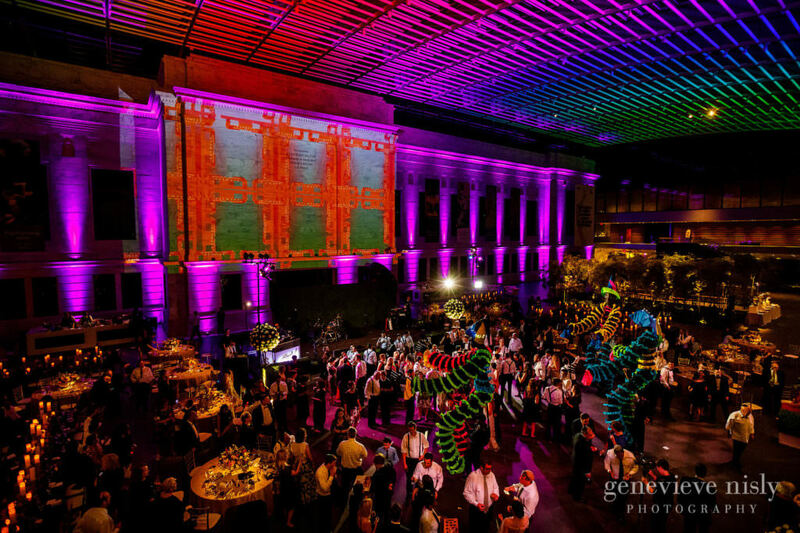 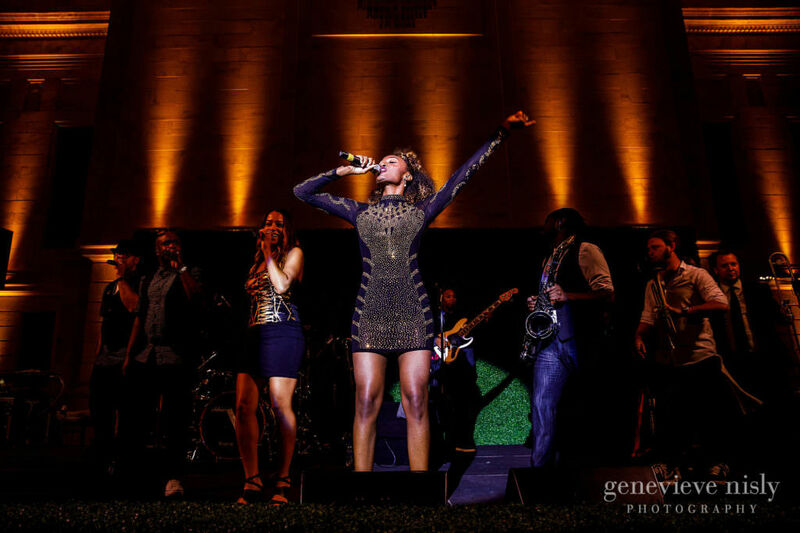 Kim and her staff at Noteworthy Events, Elizabeth et al from the Art Museum, Stephen Tokar Event Design, Vincent Lighting, The Sly Band, and DJ Smoove all brought their A-games to make it happen. 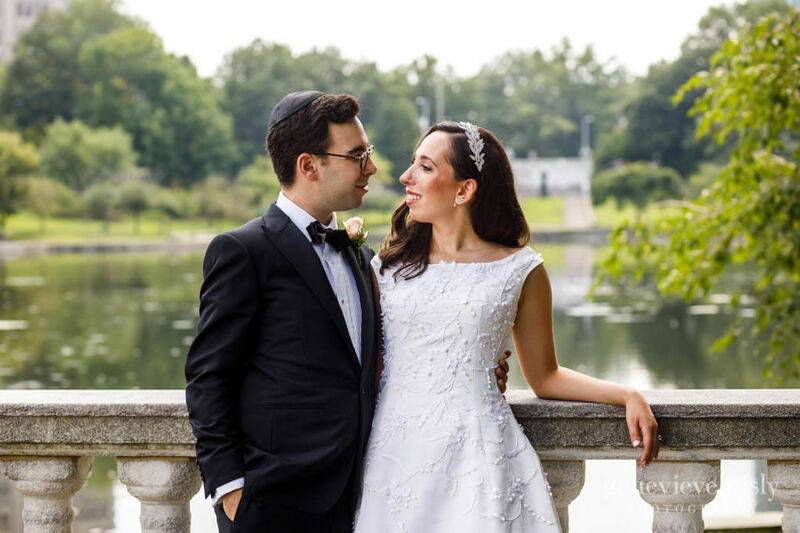 Congrats, Max and Dara, your wedding will not soon be forgotten!